Its been a while since I blogged on here. Mainly due to lack of time. As well as my full time job, my friend Julija and I have set up a social media and photography agency…Creative Parrot. Two jobs and a heap of personal stuff has left me very little time for blogging. I’ve still been eating out of course (that will never stop!) and instagramming, but actual blogging has taken a bit of a back seat these last few months. I do miss it though. I love writing and I enjoy putting posts together so I’m going to try and make more room for it in my life. We also have a blog on Creative Parrot so I guess I’ll have two blogs now! From the team at Ox and Finch, Ka Pao recently renewed their residency at SWG3’s Acid Bar, serving up cracking South East Asian-inspired cuisine. Head Chef Sandy Browning recently spent time working at the Michelin-starred Nahm in Bangkok so he really knows what he’s doing. I tried out their last menu a couple of times during their first residency and it was banging. According to their recent instagram post, they will have a new menu and format this time. They are relaunching next Friday 3rd & Saturday 4th August, then they’ll be open every Friday, Saturday, Sunday after that. Bookings are now being taken for August and September so head over to their website. 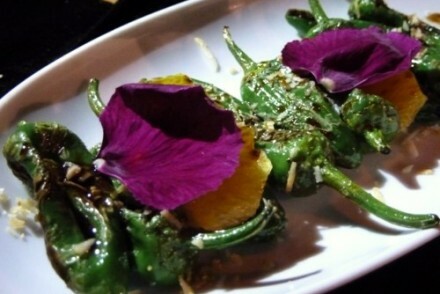 Nonya opened in April and within a week it was already a favourite with West Enders. I was away when it opened and when I came back I kept meeting people who had already been 2 or 3 times…the place had only been open a week! The space itself is stylish without being pretentious, lots of dark greens and wood, with a beautiful basement bar officially opening on 12th August. You can see pics on their instagram. Serving up incredible and authentic Thai, Malay and Chinese dishes, there is always something new to try. Marina O’Loughlin gave it a glowing review for the Sunday Times shortly after it opened, and very well deserved it was too. The first time I went they had the most wonderful coconut chicken gravy which accompanied their spring onion pancake. I could have bathed in that gravy, it was glorious. It has since left the menu but I’m thinking of starting a petition to bring it back. They could bottle that stuff and sell it, it was so good. Above, is the deep-fried peanut butter sandwich with condensed milk and peanut sugar. My photo didn’t do it justice so the one above is from their instagram. This is heavenly…sweet yet salty, crispy yet soft. My mouth is watering just typing this! 10 Claremont St, Glasgow G3 7HA. Five March opened at the end of May and luckily for me its just a 5 minute walk from my office, meaning I can easily pop along at lunchtime or for a quick drink and a bite to eat after work. Located on Elderslie Street near Kelvingrove Park, its simple and spacious inside, and filled with plants (always a winner for me), with an outdoor area for sunny days. The menu is filled with tasty Meditterenean/Middle Eastern small plates, and I haven’t had one I didn’t love yet. On a summer’s day, the zucchini, pea and quinoa salad topped with almond parmesan crumb is a dream. The roast cauliflower with pickled grapes, pomegranate, hazelnuts and sumac is a dish I could eat over and over again. Everything I’ve had there has been fresh and light and full of flavour. They also have some fab wines and a cracking cocktail menu. I am seriously loving this place right now. 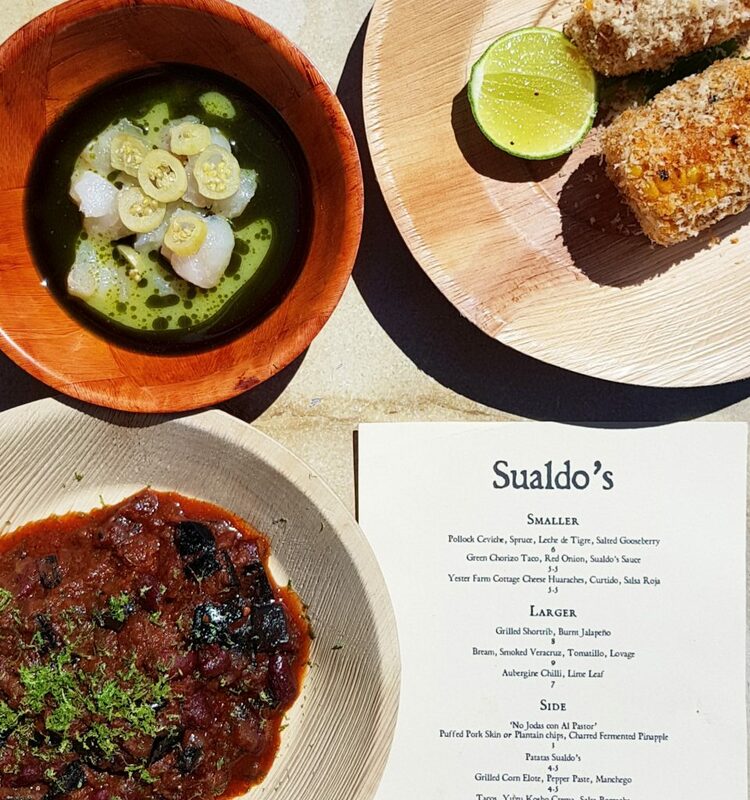 Sualdo’s is a summer pop-up on North Street, Charing Cross. Run by the same team from Alchemilla, Berkeley Suite & Bananamoon, they have successfully fused Mexican street food with quality Scottish produce. With a huge outdoor space, this has been a great place to hang out when we had a few weeks of sun in Glasgow. But don’t fear if Glasgow has reverted back to its usual state of rain…its really lovely inside too. The menu is split into ‘smaller’, ‘larger’ and ‘side’ and personal favourites are the Pollock Ceviche with Spruce, Leche de Tigre and Salted Gooseberry, the Aubergine Chilli with Lime and the Grilled Corn with Pepper Paste and Manchego (all pictured above). I really want the recipe for that Aubergine Chilli so I can make it myself at home, and that corn…wow! I could happily turn up, order 3 portions of the corn then leave a happy girl. They have two desserts on offer…both great. The Churros with salty Seaweed Caramel and Smoked Chocolate was awesome. 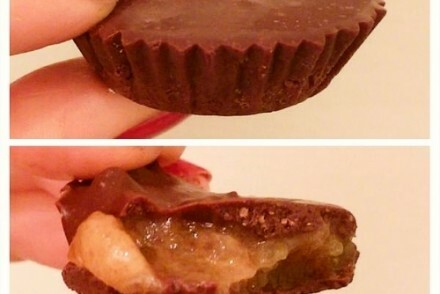 Crispy, sweet, gooey and rich and pretty sickly by the end, but totally worth it. The Carolta is Mexican vanilla ice-cream made with Gigha milk, sandwiched between two Scottish Shortbread biscuits, with Calamansi curd in the middle. Zingy and creamy and the perfect palate cleanser. Its definitely worth checking these guys out before they go. They’ll be open until 1st September. Heading to Glasgow’s Southside, there is Gnom on Pollokshaws Road, by Queen’s Park. It opened in March but it took me a few attempts to actually get a table at Gnom. Every time I turned up it was heaving inside, with a queue outside. Southsiders have definitely leapt on this one. Turns out, if you can get there before 10am, you’re more likely to get a table. Turn up after that and be prepared to queue. 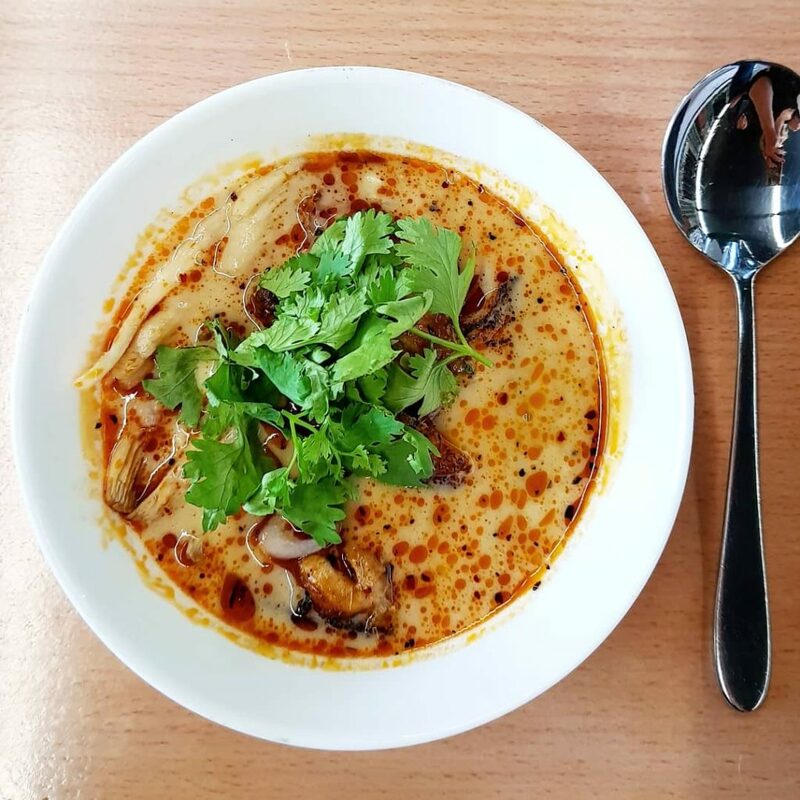 From the team at street food favourites, Chompsky, Gnom is knocking it out the park with its exciting menu and bold flavours. Its difficult to decide what to eat when you have the choice of Ham Hock with potato rösti, poached egg & piccalilli; Crab, buttered samphire and avocado on toasted brioche with capers, lemon alioli and a poached egg, Stuffed Roti (lamb or spiced paneer options) and Breakfast Bao’s (pork belly or mushrooms) amongst many other incredible dishes. And that’s just the savoury dishes. 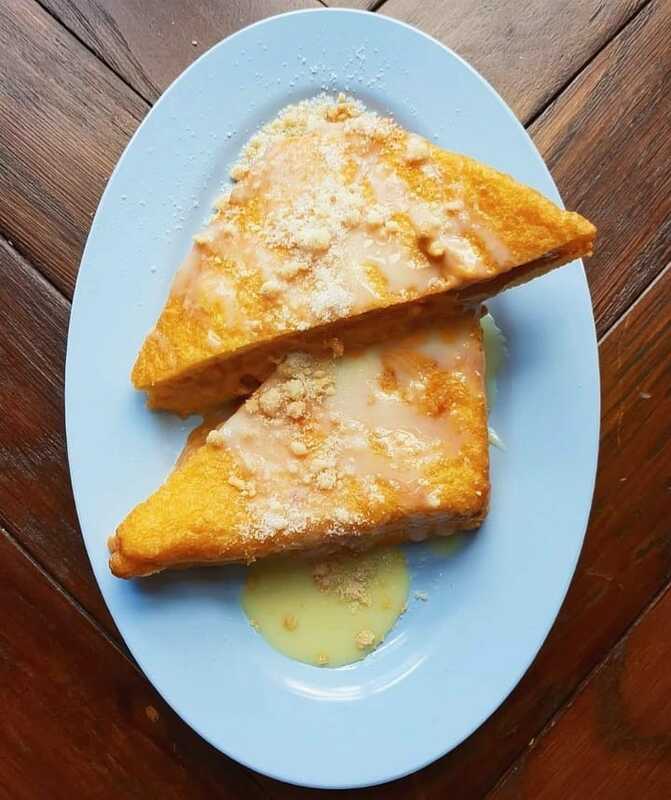 They are known for their French toast ice-cream sandwiches which you can get with cherry ripple ice-cream, peanut butter mousse, poached cherries & caramelised peanuts or with mango ice-cream, passionfruit mascarpone with white chocolate and ginger crunch. 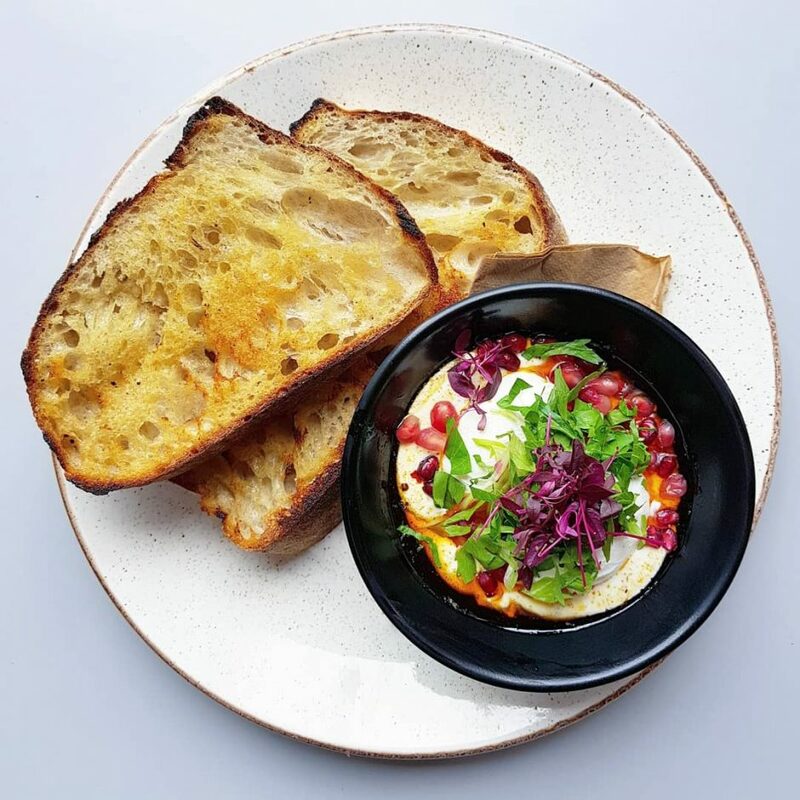 Above is a picture of their Turkish Eggs with garlic mint yoghurt, smoked chilli browned butter and pomegranates, served with wedges of buttered toasted sourdough to scoop it all up with. This is the best I’ve tasted, and I’ve had a LOT of Turkish eggs. The chilli wasn’t too harsh, it was soft and sweet and smoky and utterly divine with the garlicky yoghurt. I can’t stop thinking about it! They also make a cracking selection of cakes and doughnuts in house. This place is a winner.